In the big data world, qualified data scientists are really rare and within the qualified ones, most of them are well educated, highly skilled foreign labors, like people from China, India etc. For the alien employees to legally work in the U.S., they have to hold certain type of VISA (H1B temporary working VISA). To make sure they will keep contributing to the employer, one must understand the PERM process and help the employee to get GC (green card) so the employee can work permanently in the U.S. 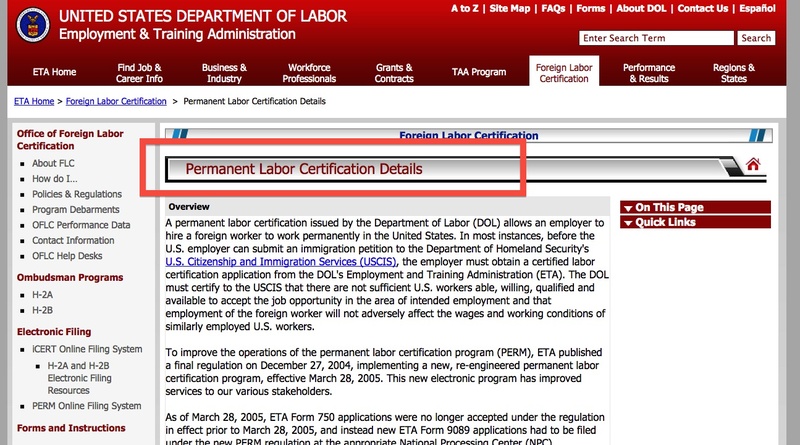 Here is a page from United States DOL (Department of Labor) that briefly describes the 9 steps to get the PERM application approved.